Home > Opinions > Politics > What would I didn't do if I would be the CM of Andhra Pradesh in 2014? 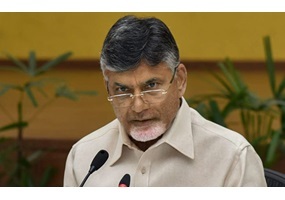 What would I didn't do if I would be the CM of Andhra Pradesh in 2014? I won't make my inefficient son as a minister in my cabinet. I won't mislead the people of my state about capital location. I won't take up polavaram project responsibility. I won't acquire land for capital from Farmers as there is lot govt land available. I won't bye apposition mlas and make them Ministers. Mongolian reunification: Would there be any other major benefits of reunification? Should government reform Social Security so that wealthier people pay taxes on every dollar of their incomes? Double Jeopardy Rule, Abolition of: Should guilt be the primary criteria for trials, not whether a defendant has been tried before? Do U.S. drone strikes constitute war crimes? Do you have a problem with Hillary Clinton receiving funds from big gas and oil? Should Israel's Mossad be allowed to kill enemies on sight without the authority of the judiciary? Should the Church be involved in making laws? Should Source Code for Electronic Voting Machines Be Publicly Available? Is Bernie Sanders gaining monmentum against Hilary?